Current dark ride at Disney's Animal Kingdom. 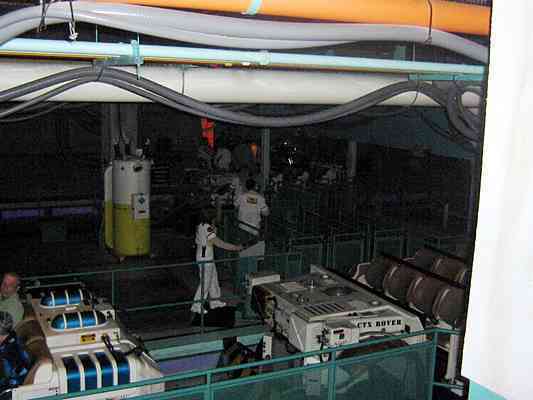 Multi motion dark ride. Guests are sent through the Time Tunnel at the Dino Institute in vehicles themed as "Time Rovers" to the prehistoric age to collect an Iguanadon to bring it back to the present. However end up in the midst of when the meteor that caused extinction is about to hit, and encounter many animatronic dinosaurs on the way. The track layout is nearly identical to the one used on the Indiana Jones attractions at other Disney parks.